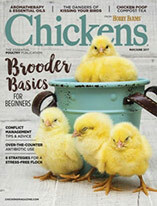 Chickens talk, squawk, sing, play, run, hide—they're as entertaining as any domestic pet you'll ever meet. 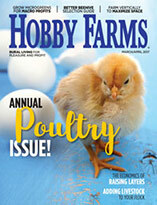 Entertainment tops all lists that encourage people to raise chickens, but without experience, how can non-chicken keepers know how much fun the birds really are? Chickens are full of life and idiosyncrasies. It’s part of what makes them so much of a hoot to keep in the backyard. Here are five ways my flock keeps me amused. Spring has arrived! The hens and pullets are as melodious as their wild-bird cousins in the trees. At least once each day, the chickens scatter themselves into a choir around the yard. One stands still on the patio; another roosts on the hose ree;, a third stands in the run by the feeder; and a fourth out by the garden. Then they let loose. Helen, my Australorp, usually starts the singing. It’s the usual bok-bok-b-GAWK stuff, but each chicken has her own pattern and her own voice. Each joins Helen in her own way, and together they compose a song that is completely embarrassing because my neighbors are so close. Once they get going, they’re hard to stop. “Hey! Hush up!” I’ll say. They’ll stop singing to stare at me, but once I close the door, they continue until they decide they’re finished. My pullets are new to egg-laying, so when it happens, they throw a fit. Snowball, a Speckled Sussex, is especially vocal when she’s about to lay an egg. It’s much like Helen’s singing, except it’s a bit more desperate. When I tried to shoot a video of her laying an egg, one of my chickens, Snowball, didn’t just holler, but seemed to yell at me, sort of like the chicken in the video above. Keep-Away is a flock’s favorite game. When the girls are getting into trouble outside, like digging where I don’t want them to or roosting on the privacy fence, I’ll toss a food item outside to keep them occupied. A small bagel works great—they’ll pick it up and run with it. The hen that snags the bagel wants to eat it, but she can’t eat it when she’s running. When she drops it to take a peck, another chicken steals the bagel, and the game starts again. Do you talk to your chickens? If you bok and coo to them, they’ll often talk back. They love to talk chicken just as much as you do. And let’s face it, since you started raising chickens, you’ve gotten pretty good at mimicking bok-ing and coo-ing. 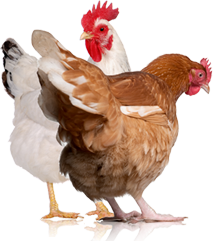 If you talk to your chickens often enough, you’ll learn their voice, style and even their moods. Before long, you’ll know which chicken is outside making noise without even looking. Every so often, you’ll lose a chicken. Your headcount will come up short, and you’ll fear the worst. You might even drive around the neighborhood (twice) looking for a runaway chicken, but she’s probably hiding on your property somewhere. When Mabel disappeared, I couldn’t find her anywhere. She was the head of the flock at the time, and the other girls were noticeably distraught by her absence. When I finally found her, she was inside the underside of the grill, crouching in the ashes. What kinds of funny things do your chickens do?